At Thanksgiving dinner, Uncle Bubba and Uncle Bill are arguing over whose house is more expensive to heat or cool: Bubba’s Georgia home in the summer or Bill’s North Dakota home in winter. Student teams play the role of Bubba and Bill’s niece or nephew, an engineering student who attempts to resolve their argument. 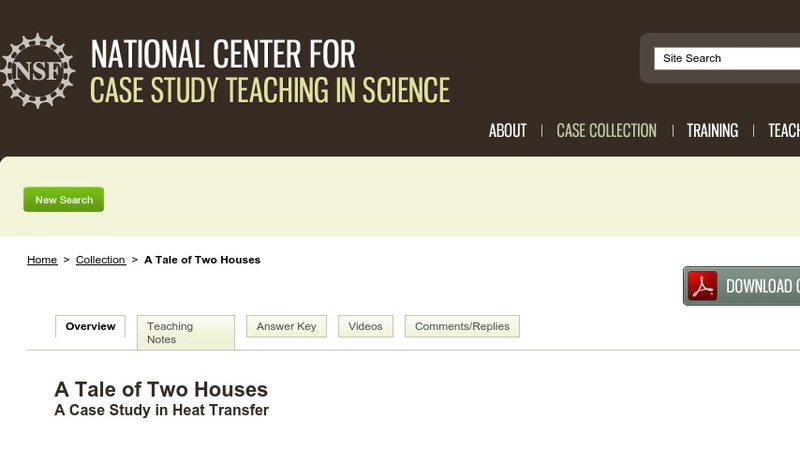 This interrupted case was developed for use in sophomore- and junior-level chemical engineering classes dealing with heat transfer applications and theory. It could also be adapted for use in introductory physics and engineering courses. It is designed to teach students about conduction heat transfer and to guide them through the process of engineering model development.